There are plenty of work at height situations in which there is no fall protection system installed, and where there is limited to no possibility to apply such a safety system. For example during the construction period of a building. As the buildings shape and configuration changes continuously, and new walls, ceilings etc. are added it will be nearly impossible to install a permanent fall protection solution. In such cases temporary anchorage points, such as the jamb anchor, may offer a solution. During construction, when the structural walls are erected there are situations in which construction workers may have to move to areas where fall hazards exist. For example, in an apartment building where there are no stairs yet, or in balcony open-ended areas. As falls from height are rather prevalent in construction, sufficient measures must be taken to combat fall hazards. 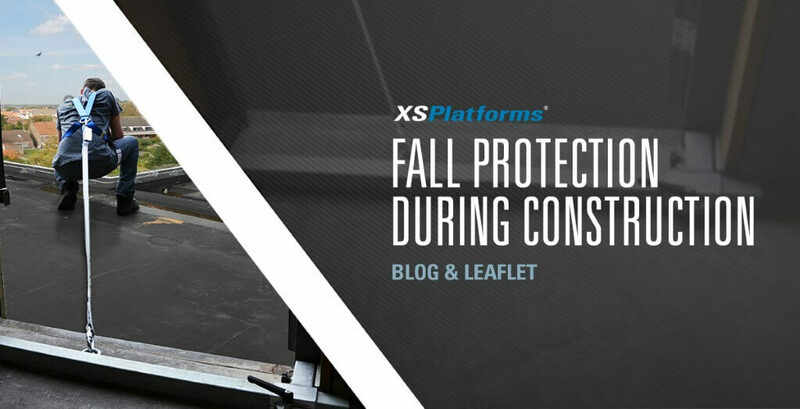 The best solution to provide fall protection would be to install collective solution, such as a guardrail along the edges, but there may be situations in which such a measure won’t be suitable. You could also use deadweight anchor points, such as the RockSolid, but moving those from one location to another takes time. There is another, simple, solution in which the structural walls offer a great outcome; the jamb anchor. With this type of temporary anchorage users are secured to a beam that is mounted between the frame of a door or a window. The jamb anchor can easily be installed in frames with dimensions from 60 cm (23,6”) to 125 cm (49,2”) and rests on the bottom of the window or door opening. This non-penetrating installation does not damage the structure and can easily be adjusted to fit multiple sizes of window or door frames. 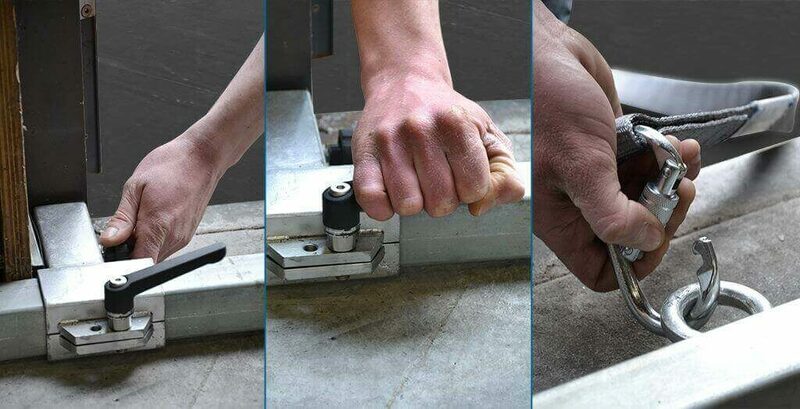 It is a straightforward, transportable anchorage point that allows for both fall arrest or fall restraint work. Up to two users can connect their lanyard to the jamb anchor and safely work at height. Safety in a construction site does not need to be a headache case. There are solutions available that are adaptable to the ever changing environment. The jamb anchor can serve your safety needs throughout the entire construction process. Want to learn more about this type of temporary anchorage? Download the Jamb Anchor leaflet.